Day two of the 2018 Traffic & Conversion Summit in sunny(ish) San Diego was intense and engaging. The day left our own attendees’ brains swirling with new ideas about content and information from amazing speakers such as Ryan Deiss, Ezra Firestone, Perry Belcher, and none other than the shark himself, Daymond John. A speech by the pioneer of live video online, Joel Comm. He has been streaming original content to the internet since 2008. Joel’s session titled, “The Live Video Revolution: How to Get Massive Customer Engagement & Make more Sales with Live Video,” was truly amazing. It was packed full of information and resources to improve your live streams, PLUS an intro into what the future holds for live video streaming. After briefly introducing himself and discussing his first personal experiences using live streaming through apps such as Blab and Meerkat, Joel made the most compelling argument. What can we learn from Candace (aka Chewbacca Mom)? Set doesn’t matter. Candace is in the parking lot of a Kohl’s department store in her own vehicle. There is no fancy backdrop, no green screen, no beautiful view of a landscape. Just Candace, with her phone, in a car, in a parking lot. Hair and makeup don’t matter. Candace isn’t all dolled up in Hollywood makeup; she puts on a child’s toy Chewbacca mask!! Script not necessary. Many of us panic about going live and worry that we will say the wrong thing. Candace’s video proves you don’t need to have anything prepared—just be you! Go off the cuff and say exactly how you feel and what you are thinking in the moment. Be real! For those who have been hesitant or nervous about utilizing Facebook Live, these three PROVEN takeaways from the internet’s first viral “amateur” show what is crucial to understand. You don’t need to be a celebrity, plan for weeks in advance, write out a script, or look like you walked off of a Hollywood movie set. All you need is a story to tell. 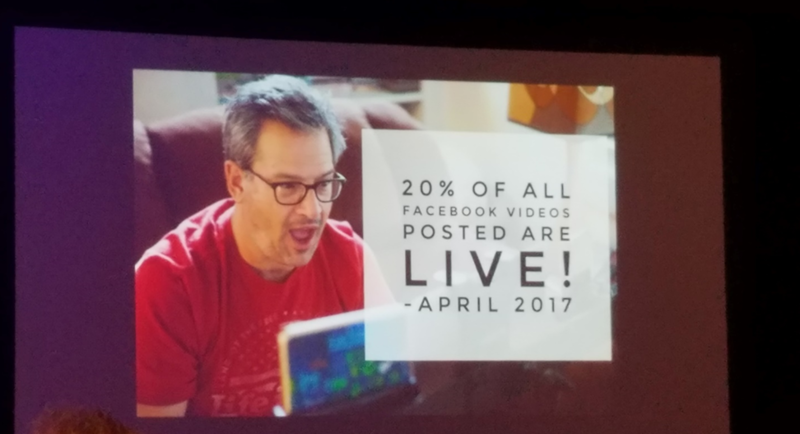 As of April 2017, 20% of all Facebook videos posted are LIVE! This percentage is constantly increasing. It’s not about technology. It is about taking authentic content, putting it together with engagement, and creating a relationship with your audience! Viral marketing happens when you tell a story so compelling that others can’t wait to retell it for you. 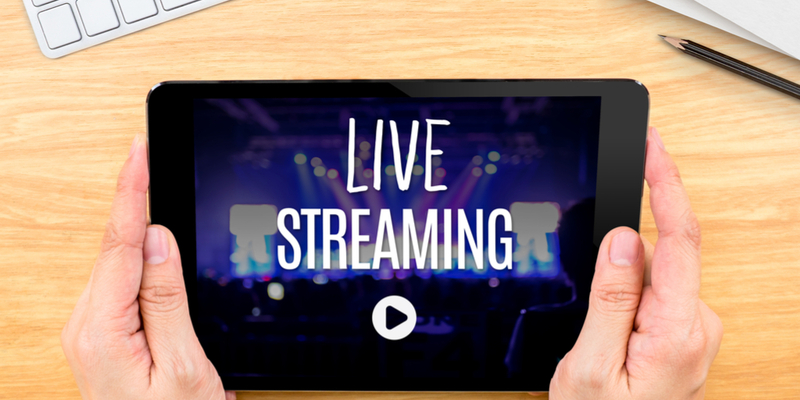 How can you utilize live video in your own business? We all have a story to tell. Don’t shy away from sharing it! Figure out what your story is and start streaming it LIVE! Check back with us tomorrow as we wrap up day three of the 2018 Traffic & Conversion Summit and gain more insights from the masterminds at DigitalMarketer.